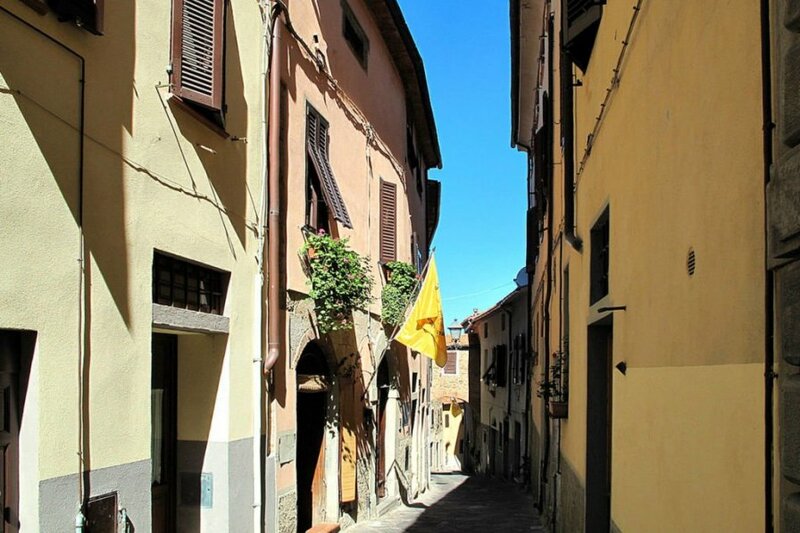 This 1 bedroom apartment is located in Scarlino and sleeps 5 people. It has air conditioning. The apartment is near a beach. Apartment, 2 - 5 people, 2 room/s, 1 bedroom/s, 1 bathroom/s, approximately 61 m², 2 floor/s, apartment on floor 2, sea view, separate access to the property. Electricity according to consumption approximately € 0.45/​kWh. Holiday resort tax. Linen/towels Bed linen available. Towels must be brought along. Change of bed linen every 7 days included. Deposit € 150 (in cash). Cot/​High chair only within the maximum occupancy, free of charge (on request). Pet not allowed. Situation: town centre Scarlino, altitude 229 m.
Access/parking: public car park approximately 100 m.
The agent describes this apartment as a family friendly holiday rental ideal for the summer holidays. It is also good value for money. This apartment is located in Scarlino. The nearest airport is 114km away. It is set in a very convenient location, just 0 metres away from a beach and only 50 metres away from the city center. There is a golf course nearby. The apartment is suitable for family friendly summer holidays as well as relaxing winter holidays. It is also suitable for elderly guests.